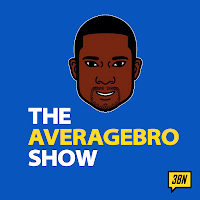 AverageBro: The Gift That Keeps On Killing?!? The Gift That Keeps On Killing?!? I'll freely admit that the whole "right to life" issue is not something I care very strongly about, but I do consider myself pro-choice. It's not my job, nor anybody else's to tell a woman what to do with her life. Besides, I'm married. It's not like I'm gonna be shelling out money for abortions anytime soon. That said, what's going on in The Hoosier State is stoopid beyond words. For the folks at Planned Parenthood, it is a creative way to help ensure that women receive important health services at a time when money is tight. For members of Right to Life, it is a wildly inappropriate idea that is an affront to their Christian beliefs. 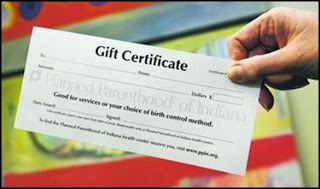 Gift certificates may be a last-minute -- even boring -- holiday staple, but the new certificates on sale at Planned Parenthood clinics in Indiana are no typical stocking stuffers. The certificates, which can be used for exams and screenings as well as abortions, were the brainchild of organization leaders who realized the demand for practical gifts during trying economic times and decided to capitalize on the most practical need of all: basic health care. "Because of the economy the way it is, so many are putting their own health care at the bottom of the list of priorities," said Kate Shepherd, a Planned Parenthood of Indiana spokeswoman. 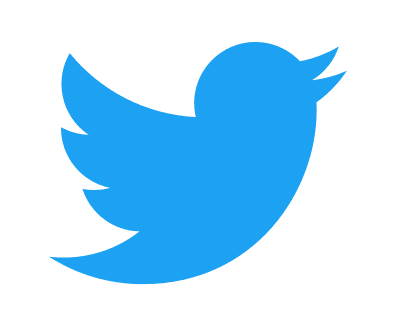 "This is a way for friends and family to say, 'Why don't you put yourself first?" Shepherd said Planned Parenthood leaders expect the majority of the certificates will be used for services other than abortions and intend to make them available year-round. The organization offers services such as pelvic exams, breast cancer screenings, walk-in pregnancy testing and birth control. About 95 percent of the agency's services are unrelated to abortion, Shepherd said. Planned Parenthood so far has sold about a dozen certificates, which can be purchased in $25 increments at the group's 35 clinics statewide, or online at www.ppin.org. An affiliate group in Michigan has offered the gifts, and Shepherd said publicity about the Indiana certificates has spurred interest in the concept in other states. Again, I'm no legalistic bible thumper, but I just don't see the point in this. I suppose it's understandable that someone might use such a gift certificate to buy birth control or get a breast cancer screening. But c'mon, what sorta person would give this out as a Christmas gift? I can already read the card. "Merry Christmas Shanesqua! Your next abortion's on me!" I won't belabor the point here, and I should note, I'm not anti-abortion. But something about giving someone a prepaid card to erase the remnants of a careless weekend seems wrong on so many levels. What do ya'll think? Question: What do you think of Planned Parenthood's Abortion Debit Card? Do you consider yourself pro-choice, pro-life, or could you not possibly care less? Which is probably why God hasn't given me a daughter. Yet.